In two words: absolutely phenomenal. Characters from other stories - Mother Hubbard, Peter Pumpkin Eater, among others - peep in and out of the story, giving it color and fairy-tale feel. Setting the story in Bremen was a stroke of genius on Coville's part. Of COURSE the figures of tales would live in the city with the folklore of the animal musicians. Ursula exists in full, not just as a mouthpiece for the story. 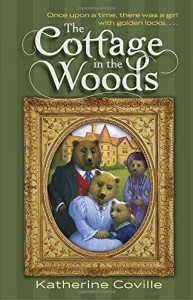 All three bears and Goldilocks are fully realized and grow in their own ways throughout. The subplots of "racial" discrimination never feel shoe-horned or out of place, and serve to give the story depth and realism.